Corporate team-building, a family get-together or good friends in town? Plan your next event on Lake Minnetonka in one of our fish house rentals with a professional guide. It will be an experience everyone will remember for a lifetime. This is a fantastic way to introduce kids to ice fishing and help them discover the joy of winter angling. 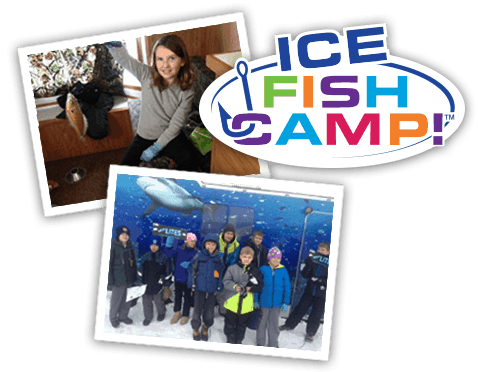 Kids stay warm in a luxury fish house and learn how to get the fish to bite using cameras, sonar and great tricks. 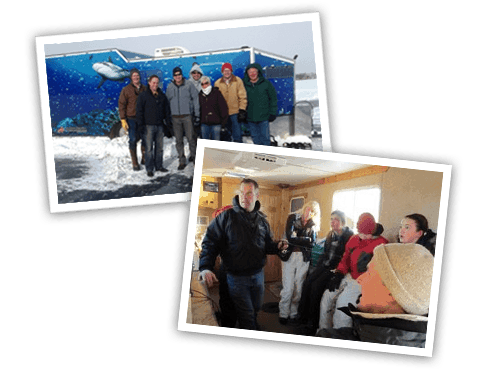 Our luxury fish houses offer the best opportunity to experience ice fishing on Lake Minnetonka in comfort and style. 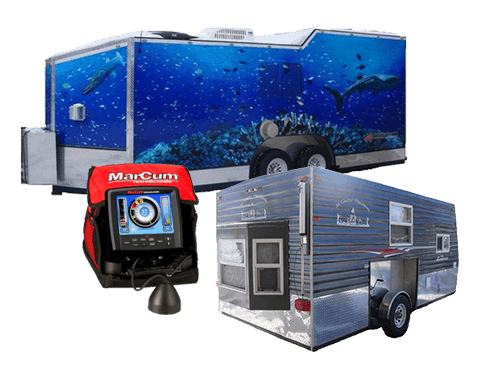 Plus we use the latest underwater cameras and flashers to bring you amazing views of the lake from under the ice!